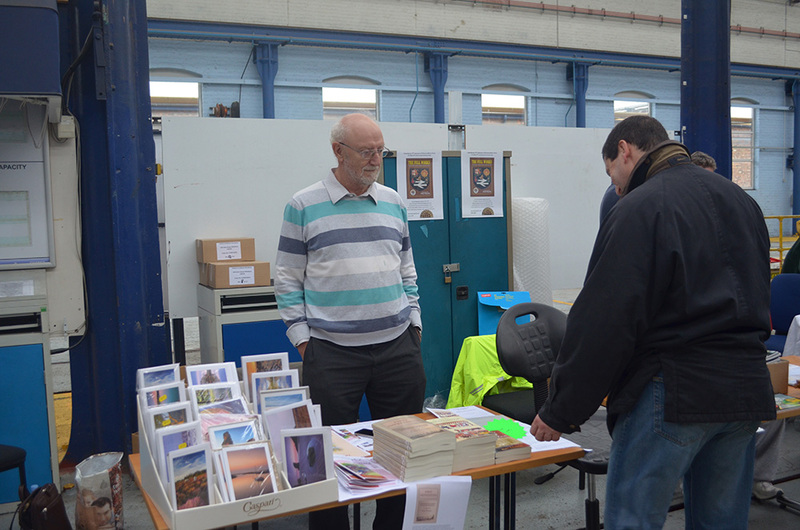 Here I am watching over my book and card stand at the Works Open Day on September 15th. The company has recently been taken over by Knorr-Bremse and they are in the proces of setting up a new assembly line. I hope it all goes well for them. It was quite cold, which may explain the grim expression on my face. Anyway, the ay was interesting and I met some old friends and some new ones. Sales were steady and I sold all the copies of First Impressions I brought with me, as well as the last remaining few copies of I Grew Up in Wolverton and The Lost Streets of Wolverton. 175 years ago the first train, carrying important dignitaries, steamed to Wolverton from London to mark the opening of the new railway line to Birmingham. Well over 1,000 people walked, rode or took a carriage from Stony Stratford, Newport Pagnell and the neighbouring villages to witness this new phenomenon. It became the occasion for what the newspapers described as a rural feast. There was much celebration and the passage of this train was to transform Wolverton and North Bucks. So what do we know about Wolverton in those early years? The answer is much more than you might expect. Wolverton was an important stopping point for the refreshment of passengers and a change of engines and this new town excited a great deal of national interest in its first decade. 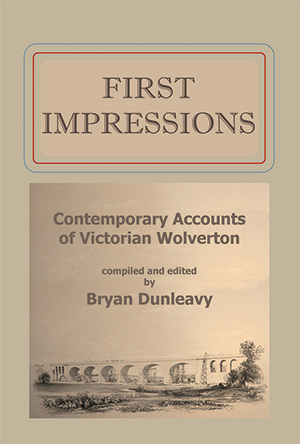 Bryan Dunleavy has collected much of this material into a single volume which is now published in Wolverton’s 175th anniversary year as First Impressions: Contemporary Accounts of Victorian Wolverton. The collection includes newspaper reports, traveller’s accounts, memoirs, Board minutes, letters, engravings, trade directory extracts, reports, journal articles, salary registers, census extracts. The intention is to provide eye-witness to the first decade from 1838. The result is an authentic picture of the new Wolverton as it appeared to early Victorians.